Compatible with various portable devices, Digital Audio Players, iPhone, iPad, iPod, Android phones, tablets, slate PC, Notebook PC and Mac Book. RAL-KEB03 accepts Hi-Rez music up to 24/384kHz L-PCM or 11.2MHz DSD music stream. KEB03 includes Audio file Class DAC, ESS SABRE32 ES89018K2M and fully balanced circuit and BTL amplifier. These circuit drive fully balanced headphone or earphone by three way, RAL mode (2.5mm L and R), AK240 compatible mode (2.5mm 4P) and SONY PHA-3 mode (3.5mm L and R. 2.5 plug to 3.5 jack adapters are required ). Accept DSD11.2MHz, DSD5.6MHz, DSD2.8MHz on DoP 1.1 format. Patented Time Domain Jitter Eliminator and 32bit internal operation by ESS technologies. - iPhone, iPad, iPod : Lightning connector equipped iOS device. KEB03 supports MFi authentication and works as an iOS compatible USB Audio Device when connected with Lightning to mini-B cable in box. This connection enables iOS USB Host mode Audio function and brings playing back Hi-Res up to 24/384kHz and DSD11.2MHz music. - Android phones, Tablets : SONY Xperia Z series, X series. KEB03 works as an USB Audio Devise when connected by USB OTG cable ( micro to mini-B ) in the box. 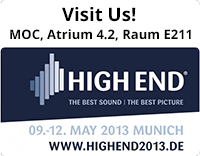 This connection enables to play back Hi-Res up to 24/384kHz and DSD11.2MHz music. ** Android device must have High-Speed(480Mbps) equipped USB OTG port and USB Audio Class 2 Driver. ** Android 5.0 or newer is required, but implementation of HS-OTG and USB Audio Class 2 Driver depend on device vendor. - SONY WALKMAN NW-ZX1 / NW-F880 series. KEB03 works as an external DAC and balanced earphone amp by connecting through WMC-NWH10 adapter cable. 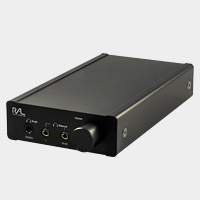 This connection enables to play back Hi-Res up to 24/384kHz and DSD11.2MHz music. Requires High-Speed (480Mbps) equipped USB port and USB Audio Class 2 Driver. KEB03 works as an USB Audio Class 2 compatible device and fully compatible with various music player applications, such as Media Player, iTunes, JR MC and foobar2000. Audirvana Plus, JR MC and so on. USB mode supports Asynchronous mode, receives Isochronous data packet and generates accurate I2S or DSD native signal with two independent accurate X-tal oscillators (22.5792MHz and 24.576MHz). KEB03 has S/PDIF(Optical) input port and accept up to 24bit/192kHz L-PCM music. Suitable for connecting to portable Digital Music Player, Notebook PC or Mac Book which has S/PDIF(Optical) output port. Includes Audio file class ESS SABRE32 DAC, ES9018K2M. 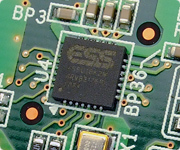 Patented Time Domain Jitter Eliminator by ESS technologies. 32bits floating point operation brings sharp filter and accurate volume control without L/R gang error. BTL power amp for Balanced output for 2.5mm jack. Balanced input separate single ended OCL amp for stereo 3.5 mm jack. Large capacity Li-Polymer battery brings 14 hours continues operation. * full charging requires 5 hours 30 minutes. 20 ohm load and volume position at 12:00.